LAMONT LEAVITT, beloved husband of Phyllis (Wiggill) Leavitt, passed away peacefully in Cardston, Alberta, on July 23rd, 2018, one week shy of his 100th Birthday. Besides his wife, Phyllis, he is survived by his children, Roger (Wendy) Leavitt, Paul (Linda) Leavitt, Kelly (Linda) Leavitt, Larry (Carolyn) Leavitt, Dave (LeAnn) Leavitt, Renee (Bob) Quinton, and a son-in-law, Jim Johansen. He was predeceased by a daughter, Marsha Johansen, a daughter-in-law, Linda Leavitt, and a grandson Chase Leavitt. LaMont and Phyllis were a team for 75 years, they did everything together. LaMont worked hard all of his life, at age 14 he quit school to help his father on the farm. He served a 30 month mission, starting in Belgium until the war broke out in Germany in 1939. After two weeks he was able to board the SS Penland being accompanied by torpedo boats and minesweepers to protect them to safety. He arrived in New York 11 days later and then resumed his mission in Toronto French speaking, with a required month of military training. LaMont returned home in May 1941. LaMont and Phyllis were married on October 28, 1942, in the Cardston Temple. LaMont decided to move his family to Spokane, Washington, in 1948. LaMont worked for Kaiser Aluminum and the County and was able to purchase 10 acres of land. LaMont would work hard all day and then come home to tend to crops of corn and a bountiful garden. He would bail hay all over the valley to make extra money. He took on a 2 mile fencing project and told the kids that if they worked hard they would use the money to buy a boat after all expenses were paid. The family loved boating in the evenings after the work was done at home. Due to back problems associated with running heavy equipment LaMont had to make some changes. LaMont moved his family back to Cardston in 1963. Phyllis didn’t want to leave the agreeable climate and beautiful surroundings and cherished friends, but she followed LaMont with many tears in her eyes. LaMont enjoyed a good softball game back in the day. Rook was the #1 card game and he continued to play cards up until the time of his passing. LaMont would do almost anything for his sweetheart, he even took time off work to accompany Phyllis on several trips, including, Israel, Hawaii, an Alaskan Cruise, Church History Tour, two Expos and several other road trips. LaMont loved to bargain and get the best deals. He never rushed into any decision until taking time to make sure it was the right choice. LaMont was an avid Journal writer until his eyesight deteriorated. LaMont served in several Church callings throughout his life. He enjoyed his opportunity to serve as a temple worker. He had a strong testimony and wasn’t afraid to share it with others any chance he got. In 1988 he served a full-time mission with his wife in Kayenta, AZ. LaMont continued to plant a garden and mow their lawn until the age of 98. He was often seen riding his quad side-saddle to and from his garden and collecting the mail. LaMont was a perfect example of a committed husband and father. He expected a lot from his children and taught them how to work hard by his example. He was a kind friend and would help anyone in need. He could fix anything with inner tube strips and some bailing wire/twine! It may not have looked pretty but served the purpose, because he was a ‘no-frills’ kind of guy! He will be greatly missed by so many but we are excited for his reunion with loved-ones that were taken too soon. God be with you till we meet again. 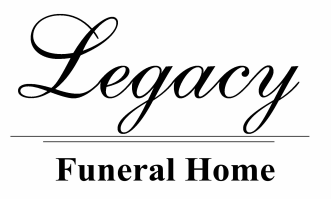 Friends may meet the family at the Legacy Funeral Home, Cardston on Sunday, July 29th, from 6:00 to 7:00 p.m. or at the Church from 10:00 to 10:45 a.m. prior to the Service. The Funeral Service will be held on Monday, July 30th, 2018 at 11:00 a.m. at The Church of Jesus Christ of Latter-day Saints, Cardston Alberta West Stake Center (846 1st Ave W).